Subscribe to posts via email, or by RSS below. The Music Dept is doing its annual Mattress Sale on Sunday November 1, 2015 from 10-5 at the HHS cafeteria. There will be a wide variety of sizes, quality levels (basic through top of the line) and brands of mattresses. If you are looking at a mattress for yourself, your guest room, your child's room or a guest house, there is something for everyone. 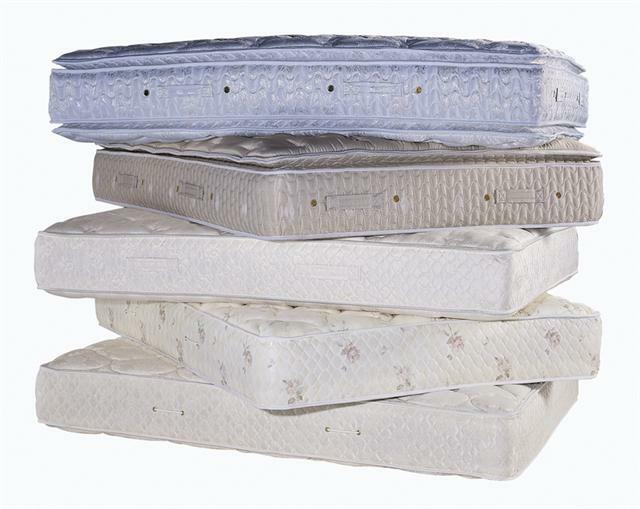 The mattresses are ordered by you the day of the sale and then made to order and delivered to your door. The Music Dept. is happy to offer the opportunity to the community again (this will be its third sale). Please email at brittons@holliston.k12.ma.us if you have any questions. Join us on MONDAY, OCTOBER 12th 9 am - 2 pm in the Holliston High School field house. Furniture, Housewares, Sporting Equipment, Toys and Games, Books, Baked Goods and More! Mr. McCann, from Herff Jones, will be at Holliston High School taking orders for class rings for the Class of 2018. He will be at Holliston High School on Monday October 6, 2015 from 4pm to 6 pm to meet with parents to answer questions and collect order forms. He will also be available to answer students’ questions and collect orders from students on Monday & Tuesday, October 6th and 7th, during all 3 lunches. Students received class ring order forms during an assembly on Thursday, Oct.1. Please contact Mr. Reeve, Sophomore Class Advisor, at reevet@holliston.k12.ma.us, for additional information or order forms. HHS will host a College Financial Aid evening next Wednesday, October 7, at 7:00pm in the HHS auditorium. A representative from the Massachusetts Education Finance Authority (MEFA) will explain the financial aid process and give an extensive explanation of the FAFSA and CSS Profile forms. All are welcome. Open House will begin at 6:30 in the HHS Auditorium. Parents can have their students fill out the form below for the complete schedule. See you then! Art Gallery Exhibits: "Full Circle"
This school year, the HHS Art Dept. will be featuring works from Holliston Alumni in our high school art gallery, STUDIO370. These former students create work in varied media which include, Fine Art, Photography, Printmaking, Video, and Sculpture. This month we are showcasing the work of Emily Mansfield. She graduated in 2006 and then studied at Savannah College of Art and Design. We hope you will be able to drop by. and enjoy some amazing art from our talented alums! On Thursday, September 17 and Wednesday, September 30, the Holliston High School Guidance Dept. will host College Mini Fairs. Approximately 75 college representatives will be available on each date to talk with students. The Mini Fairs will be held in the library during the lunch block. Our School MD has written orders for standard dosages of Ibuprofen, Acetaminophen and an antacid (e.g. generic tums) which may be administered after school nurse assessment. Written parental consent for these medications must be on file in the nurse’s office. Please return Pink Emergency Information Forms to the Main Office ASAP. Student illness and/or injury during the school day must be reported to the school nurse. If a dismissal is warranted, the school nurse will contact the parent/guardian to make arrangements for dismissal. A student with vomiting, with or without diarrhea, needs to stay home from school until the symptoms have stopped and the student is able to tolerate a regular diet. In addition, please contact your physician and keep your child home if they have a persistent disrupting cough or copious green or yellow nasal secretions. A student returning to school after an accident, operation, or serious illness must present a doctor’s certificate stating that he/she may resume a full program including athletics or that he/she requires a modification of her/his school program to meet her/his physical needs. A student returning to school after a communicable disease must present a doctor’s certificate stating that the student is free from the disease in its communicable form. Any student diagnosed with a concussion must provide a medical note from their own physician stating the diagnosis and any accommodations that may be necessary.